Like the delicate wings of a butterfly, the transparent Gossamer table cascades the light from the nearby lights and lamps, instead of exhibiting its own show of luminosity. 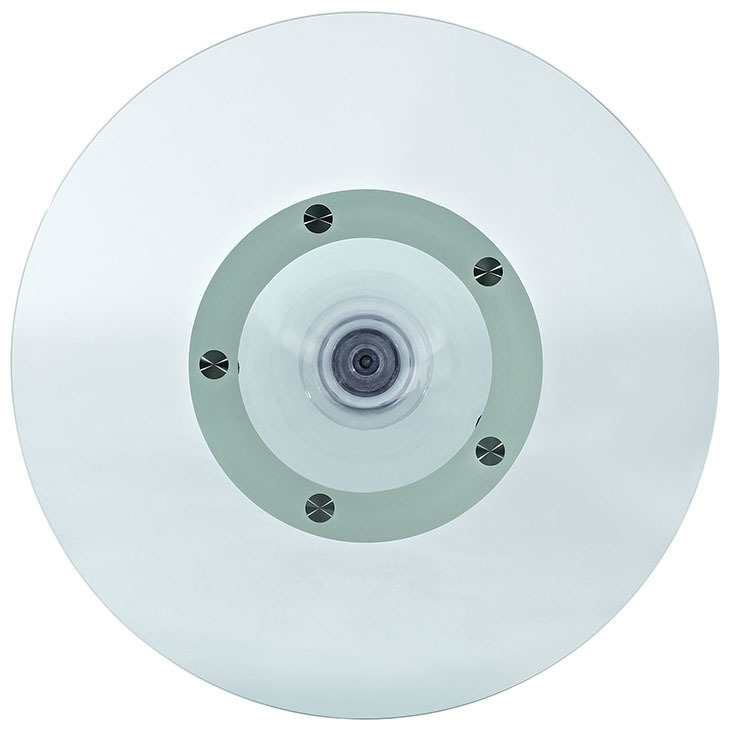 Gossamer is a clean polycarbonate and tempered glass top piece that acts according to your room’s specifications. 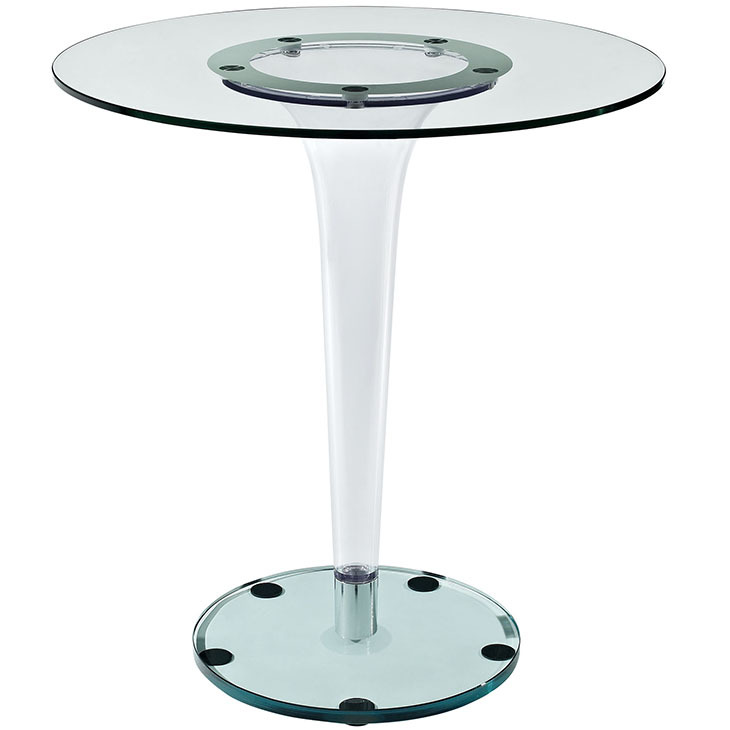 In addition to its see-through presentation, Gossamer’s tapered pedestal base also eliminates the edges inherent in four-legged square tables. 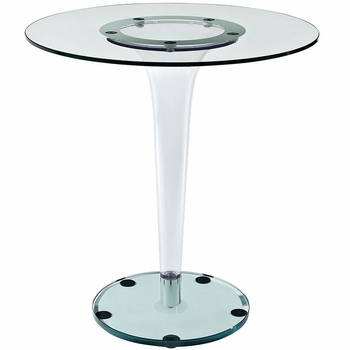 Visible primarily through the metal rim that secures the top to its base, and the four sponge pads on the base, Gossamer has no pretensions about it, and was designed to portray only limitless prospects.